Taking a break from arranging wedding flowers to check out the new book! 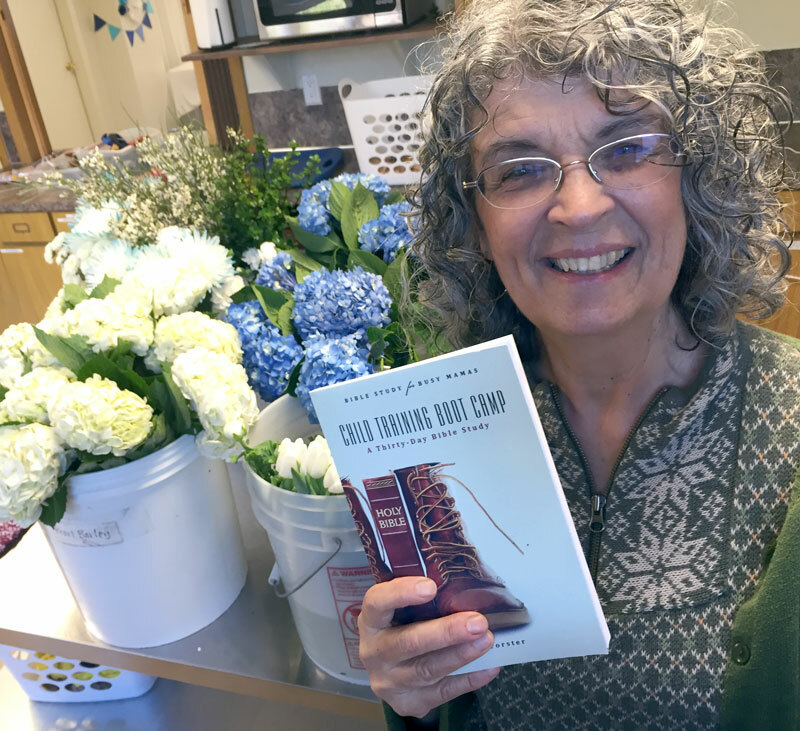 The books are finished! 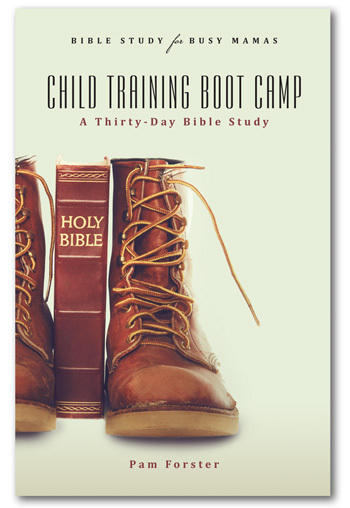 Today we are excited to offer Child Training Boot Camp, the fifth book in the Bible Study for Busy Mamas series. 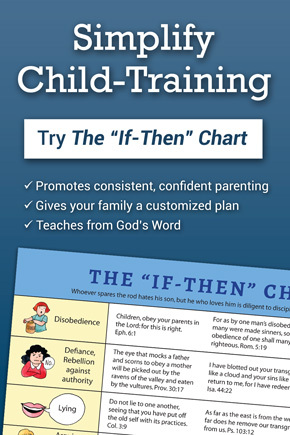 In this thirty-day Bible study guide, you’ll learn to use topical Bible study methods to discover what God says about some of the typical challenges we face day after day with our children, including disobedience, bickering, unkind speech, and whining. 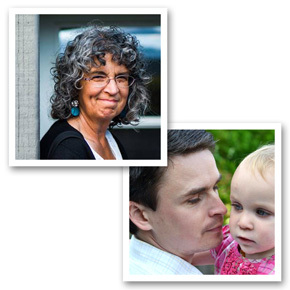 To celebrate the new book, we’re giving away four free bonuses worth $24.99 to anyone who orders a copy by March 31! 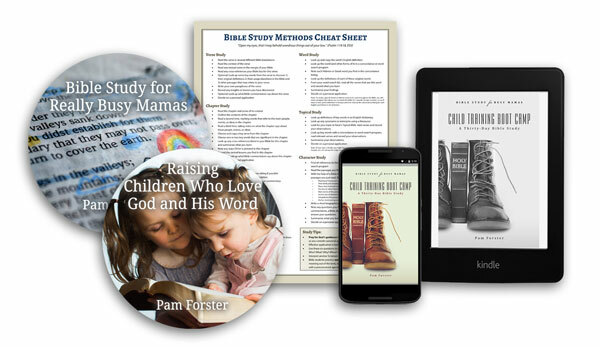 To get your bonuses: Buy Child Training Boot Camp from Doorposts or from Amazon before March 31 and forward your proof of purchase to doorposts@gmail.com. (Your order confirmation email, your order number, or a screenshot of your completed checkout page are all valid options.) We’ll email you right back with links to access everything! 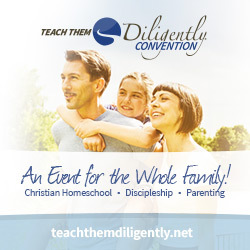 I see that you will be at the Midwest Homeschool Convention on March 31. If we purchase this at the convention on Thursday night, do we still receive the freebies? Hi Christine, we can definitely do that. We should have the new books at our booth. I read this book and it has helped me in more ways then one. I have two teenage kids and at first I thought it was going to be another book like all the others but it is not. It totally takes you to the bible and God spoke to me. It was hard at first trying to figure out the first couplenchapters but once I got the hang of It I was the best book about kids I have read So far. Ty for taking the time to do this.